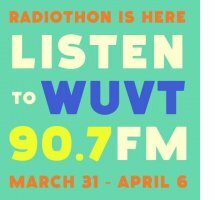 100% of the donations will benefit WUVT's Radiothon, the station's fundraiser to support WUVT's student run commercial free station! 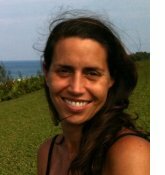 In Balance Yogi, Taylor McGough, Yoga Teacher Training student, will lead us through a donations Hot Yoga Class! 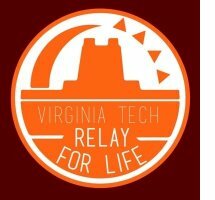 Hope you can sweat and support this VT station, this Friday from 2:45 - 3:45 pm! 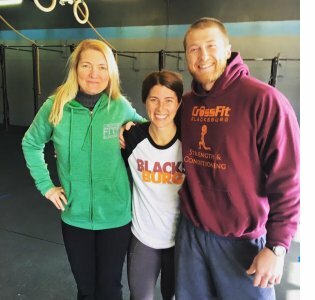 Grand Opening - April 6th! Jeremy Counts from Main Street Pharmacy has offered for any yogi from In Balance Yoga who stops by Main Street Pharmacy after a session can purchase a drink (gatorade/water/etc) and a snack (nuts, snack bars) at half off. They are also going to be offering all natural nutritional and performance supplements as well as health foods from country life http://www.countrylifevitamins.com/ . They offer a lot of gluten free and vegan options that are hard to find. TBD & Congratulations on Uttara's new space: 315 Albemarle Ave SE, Roanoke! 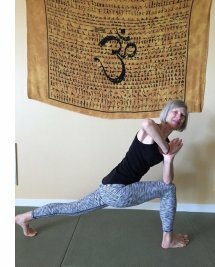 Graham M. Schweig, Ph.D. (ERYT500) has been a student of many traditional teachers of yoga. He has travelled to India seven times, and has been a practitioner of meditational and heart-centered yoga for over 45 years. Along side of his personal yoga practice, Graham earned his doctorate from Harvard University in comparative religion, with a specialization in sacred Sanskrit yoga literature. Graham has been conducting yoga workshops and offering seminars and lectures around the US and Europe for over 20 years, and has been an invited speaker several times at the Yoga Journal Conferences. Additionally, over the past eight years, Graham has been invited by the Smithsonian Institution to deliver over three dozen lectures on religion and yoga at its museum complex in Washington, DC. Among his over 100 publications of articles and chapters of books including several books, his translation of the Bhagavad Gita, published by Harper Collins, has been widely used in yoga teacher trainings around the country. Additionally, in a couple of years, Yale University Press will be publishing Graham’s translation of and commentary on Patanjali's Yoga Sutra. He is presently professor of philosophy and religion at Christopher Newport University, Virginia, where he has received many recognitions and rewards for his teaching and mentoring. Graham, along with his life-partner Catherine, is co-founder of The Secret Yoga, for which he teaches workshops on the yoga of deep study of sacred yoga texts, philosophical foundations of yoga, exploring deeper dimensions of meditation, Sanskrit for yoga, the Upanishads, the Yoga Sūtra, the Bhagavad Gita, and workshops on many other important themes. Free and open to the community. No experience with acro or yoga needed. No teacher or planned class. It will be a safe space available for people to come together to play in a fun environment with heavy spotting. Other Friday's TBD, check the webscheduler for schedule. We asked Glade Road Growing if they would be willing to teach us Gardening 101 this Spring to help us plant our gardens and they graciously accepted! JP will join us on Sunday, April 10, 8:15 - 9:30 am. Save the Date and if you have any specific gardening questions - let us know and we will prepare! 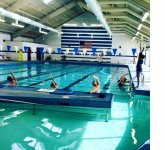 Last indoor SUP Yoga class is Sunday, 4/10, 2:30 - 3:15 pm. The Creating Sustainable Social Change Club is hosting a Vinyasa style, donation-based yoga class that is suitable for all levels of experience. The class is benefiting the Rwandan non-profit OPDE, which focuses on the protection and healthy development of vulnerable children. 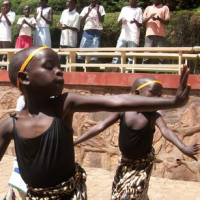 It runs integrated educational programs for children aged 6-18 and provides opportunities for these children into adulthood. The class will be taught by In Balance yogi, Joey Puletti who teaches a yoga class through VT's sports and recreation department, and completed his 200 hour YTT in Hatha and Ashtanga yoga this past summer in Dharamsala, India with Chandra Yoga International. 100% of donations will go towards this cause! Contact Improv (CI) is a movement practice in which points of physical contact provide a starting point for explorations with a partner or partners. It was developed in America in the 1970s, and has been evolving in varied directions since then. In this beginner class, Barbara Tait will lead participants through some basic tools for practicing Contact Improvisation, including falling, rolling a point of contact, weight exchange, counter balance, and physical listening. To practice CI is to practice mindfulness/living in the moment, compromise with others, and allowing yourself to be a vessel for something larger. Many practitioners have found CI principles to be useful in other contexts such as social dancing, mountain biking, and jaywalking. You need not have any experience with Contact Improvisation or any other dance or movement form in order to attend this class. Interested in yoga, but never attended a class? Yoga can be beneficial for men through developing strength, flexibility, range of motion, stress relief, and finding stillness. Joey will lead you through the foundations of yoga and answer any questions you have about the practice. This is a guys only event. No charge to attend, just show up and practice! Joey hosted this class at McComas last month and it was a huge success. Hoping to help more men become interested in yoga and its benefits! In Balance Yoga will be hosting a Yoga session for the night of Relay for Life, Friday, April 22nd, 9:30 - 10:15 pm. Thank you to Megan Goodman for organizing and Nicole Capella for teaching. Connecting to your Soul through meditation is where true healing happens.....During this 1 hour class you will be guided through a soul connecting meditation, positioned in Savasana, and with the help of crystals, aromatherapy & sound your mind will become still so you can go deep within and heal on both a spiritual & physical level. There will be time after the meditation to share your journey and receive some answers to what you experienced from Nicky. - Laughter relaxes the whole body. - Laughter boosts the immune system. - Laughter triggers the release of endorphins. - Laughter protects the heart. 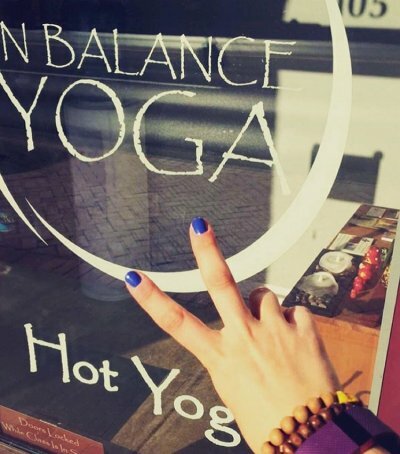 Hot Yoga fundraiser with 100% of donations benefiting Students Helping Honduras! May 5th! All proceeds benefit this VT Student Organization and their cause! Hope you can join us! the doshas (vata, pitta, and kapha) can serve as tools to help you prevent illness, promote health, remember your true nature, and to celebrate your uniqueness. New Class Offered Once a Month "The Other 7 Limbs"
There are eight limbs of yoga in Patanjali's Ashtanga Yoga. Asana (the physical practice) is the third limb. 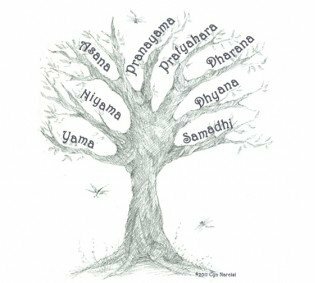 We will have a different teacher and topic each month with a focus on the other 7 limbs: Yoga Ethics & Observances, Yogic Lifestyle, Pranayama, and Meditation. Other topics included during this class will be Yogic Philosophy, Kirtan, Chanting, Laughter Yoga & more. 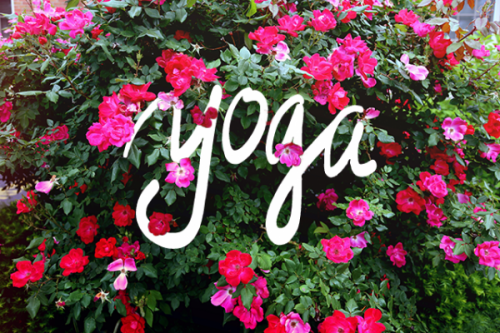 We are excited to start this class this spring and share the other limbs of yoga! Check the webscheduler for our up-to-date schedule each day and to pre-register for class or use the app - Mindbody Connect. PRIVATE LESSONS for INDIVIDUALS or GROUP Classes available. Call or email the studio to schedule. CORPORATE MEMBERSHIPS available. Contact us to learn how to help your organization make wellness a priority. PARKING: We validate parking at Kent Square for two hours when you practice at the studio. Bring your ticket and show the front desk and receive two Kent Square ticket vouchers. After 5 pm on a weekday or any time on a weekend - park at the Town of Blacksburg across from In Balance Yoga. Hope to practice with you soon! Thank You For Your Continued Support!